After sharing the tables with Nate Smith at last month’s How to Wreck a Nice Beach party, it was a delight and an honor to reunite over the airwaves of Duke University’s collegiate frequency, WXDU 88.7-FM. Winter recess was in full effect, and all but a few students had made their way back to the Garden State for the holidays. Parking was not a problem. Camel City sounds were requested and honored in a variety of flavors. This helpful playlist right here will help differentiate the 336s from the 919s from the 704s. With some creative clicking, you should be able to download the whole show directly to your walkman, or stream it live from Carolina Soul. Either way, we hope you enjoy. Requests lines are open! Funk Disco Dance Friday, or FDDF, occurs every Friday from 6-8 pm on WXDU. 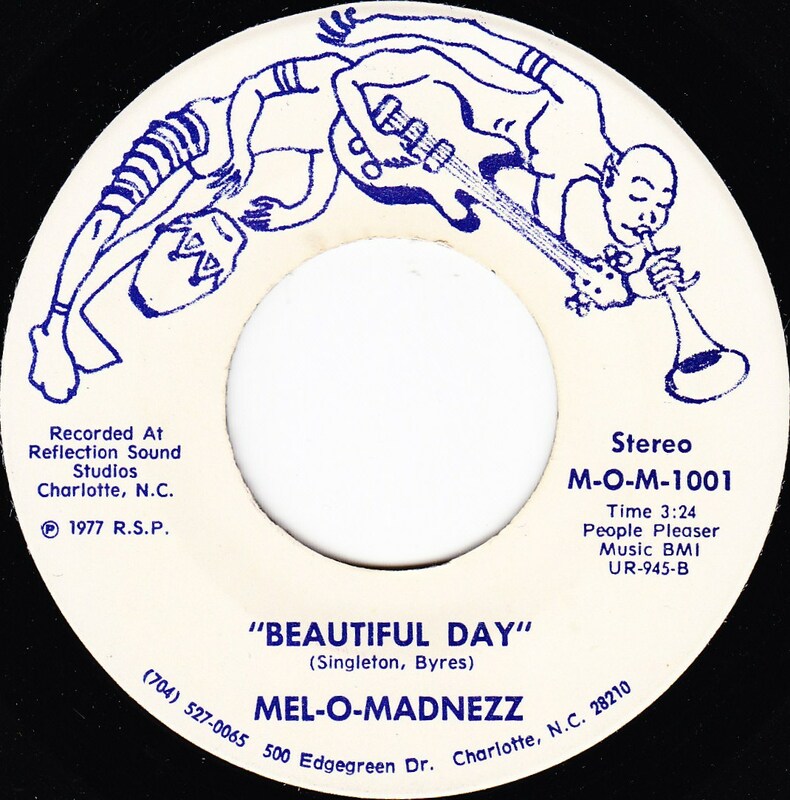 I’ve just completed my 8th Annual Carolina Soul “Thursday Night Feature” on WXYC 89.3 FM in Chapel Hill, North Carolina. The program is available for download below, in two parts, and the playlist, annotated with links for further reading, follows. Harold Dickey and The Passions “She Was Always Around” (Prescot) Further reading. Frankie & The Damons “The Man From Soul” (JCP) Follow-up 45 is on “Carolina Funk”. The Soul Set “Will You Ever Learn” (Bi-Me) Further reading. Johnny White and the Mighty Crusaders “Physical, Healthy And Trim” (Valle-Dalle) Current website. Souls Unlimited “The Raving Vampire (Pt. 1)” (Wigwam) Website of member M. Dupuy. Gene Barbour And Cavaliers “I Need A Love” (Hit) Further reading. Kip Anderson “I Can’t” (Tomorrow) Further reading. Harry Deal And The Galaxies “Fonky, Fonky” (Eclipse) Current website. Tanger Harris & T.M.S. Band “This Lonely Dream” (Showcase) Flipside was reissued. The Sensational Brown Sisters and Mother “Tribute To Friends And Relatives” (Florentine) Related to the Brown Brothers? Cal Brandon “I Kept On Smilin’” (Hit Man) R.I.P. Cal “Skeeter” Brandon (1948-2008). Style “Do You Miss My Love” (Panda) Myspace page of guitarist Garry Percell. Ivan R. Sturdivant “The World That Died” (Strategy) Further reading. Video.